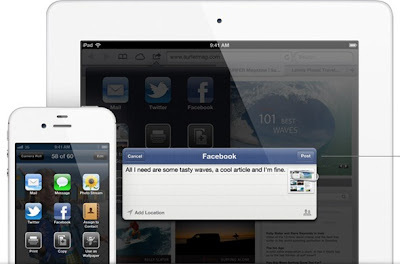 In this post I’m going to review top best three (3) main alternatives i used in different times instead of standard Apple Mail application in iPhone 4, iPad’s, iPod’s and other iOS Devices. I understand that many users find such occupation quite ridiculous because it seems that the “native” app has all standard features to offer, but these third-party email apps have few interesting options to offer so do not get hurry to make up any conclusions before you read the reviews. I will make sure to cover all the aspects of most popular and high value E-mail clients including Yahoo E-mail, Hotmail E-mail, Gmail E-mail connectivity etc. under one post, so let’s start the Review of Top Best Three (3) iPhone & iOS Third-Party Email Apps Client with Download Links below. AltaMail iOS App Review: will help to use few email accounts simultaneously! Unlike the standard Apple’s mail client this program gives a user few new ways to view and manage e-mails. AltaMail is very similar to any PC desktop email client. The advantage of this program is that it allows you to collect emails from various emails accounts into one mailbox including Yahoo E-mail, Hotmail E-mail, Gmail E-mail connectivity etc. 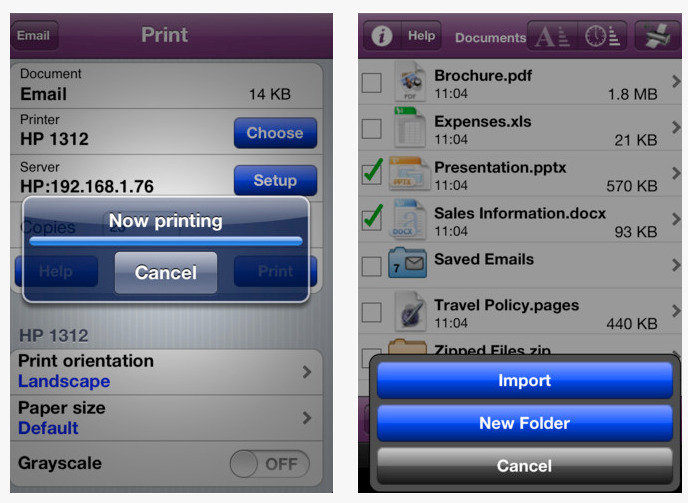 You will be able to check history of all your stored emails and open/edit/save/delete/import/print emails. I find it also very great that AltaMail supports such email attachment formats as doc, docx, rtf, xls, xlsx, txt, html, pdf, as well as a bunch of audio and video file extensions. The application also allows packing/unpacking attached zipped archives. Another advantage is that smart AltaMail client can back up the checked emails and attachments and this means you don’t have the Internet connection if you need to check them later. 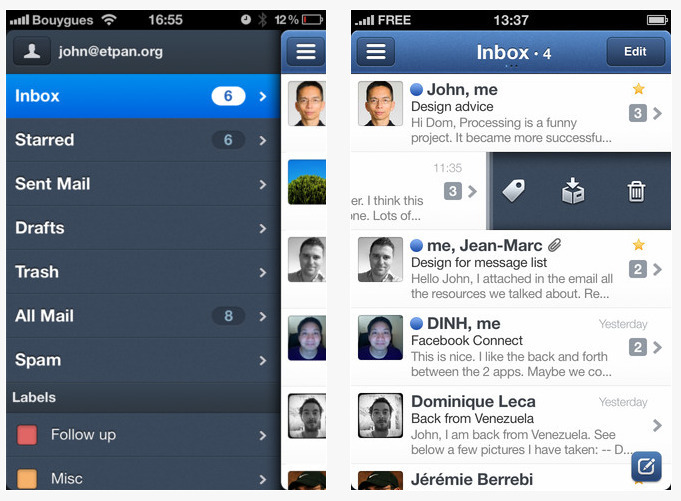 Sparrow iOS App Review: mobile email management has never been easier! 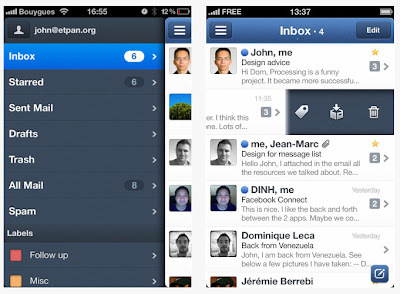 Sparrow for iPhone would be an incredible email manager if not few lacks I personally find lame but not critical due the really unique and great features. The main benefit of Sparrow is its awesome design without a necessity to use iPhone’s buttons (unlike the standard Apple Mail app). The program fully supports the multi-touch interface making it more convenient to navigate between your messages, mailboxes, folders and multiple email accounts including Yahoo E-mail, Hotmail E-mail, Gmail E-mail connectivity etc. as easily as to hold your finger across the screen. To scroll through the list just use your finger. To open the context menu again just use your index finger. Pretty simple and so genius, if you ask me. And as I have just mentioned you can work with several emails accounts simultaneously, simply by switching between them in real time. But the touchpad still is not ideal because all these numerous menus, submenus and some reports are inconvenient to use because of the small size of the interface. Although there is the ability to customize Priority Inbox (the feature that is not available in Apple Mail, by the way), is a bit annoying that you have to always see ALL incoming emails. A user cannot configure a filter to show only unread messages. To sum up, the design of Sparrow is brilliant and the navigation system (support of multi-touch) works flawlessly. But there is also a huge disappointment - the lack of push notifications. 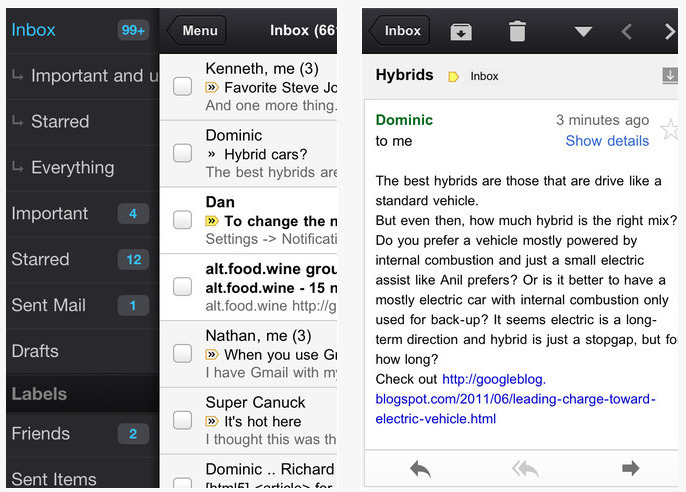 Gmail iOS App Review: a must-have app if you have a Gmail account! Well, of course, I could not finish without mentioning the official iOS mobile program from Google mail service because I personally find it great especially for Gmail service. Users of this free application can browse their mail boxes and folders, use the Priority Inbox option, search for messages and quickly create and send new emails. Google also added here and few interesting zests letting it stand out among other rivals in the niche of mobile mail clients fro iOS devices. For example, here is an option letting you scribble a short email with your finger or stylus on iPhone’s screen and send it quickly. Of course, you can attach images to such handwritten mails and send them being ensured your recipient will get them. Another great news – the program supports push notifications letting you being updated without a necessity to check manually if you have new incoming mails of not. Basically it works as a reminder of new messages in your mail’s Inbox.